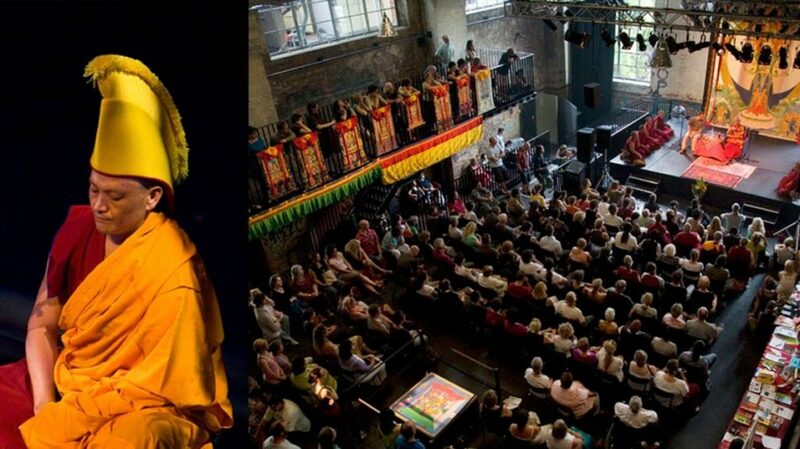 Brisbane’s 11th annual Festival of Tibet is an event to remember, offering something for everyone – discussion, art, music, intrigue and philosophy. Begin the day with a special meditation experience as Karma Phuntsok guides participants through traditional Tibetan Buddhist meditation and thought awareness techniques. This session will offer a general understanding of effective meditation methods to create a mind which is stable, calm and alertly clear. 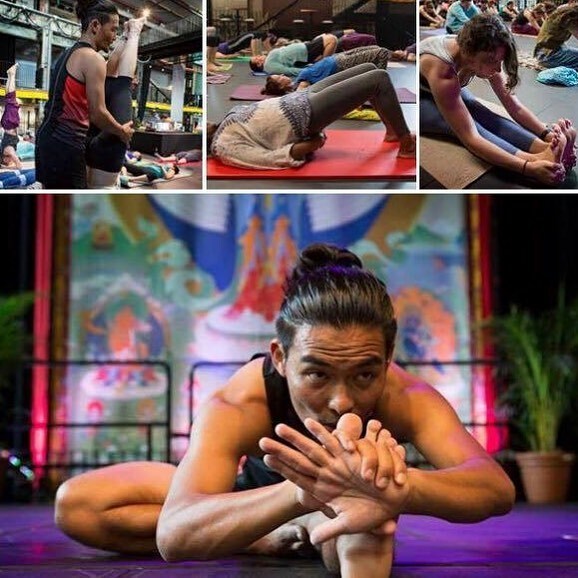 Under the guidance of Tibetan yoga teacher Kunga, learn simple yet profound techniques that emphasis the integration of body, energy and mind. 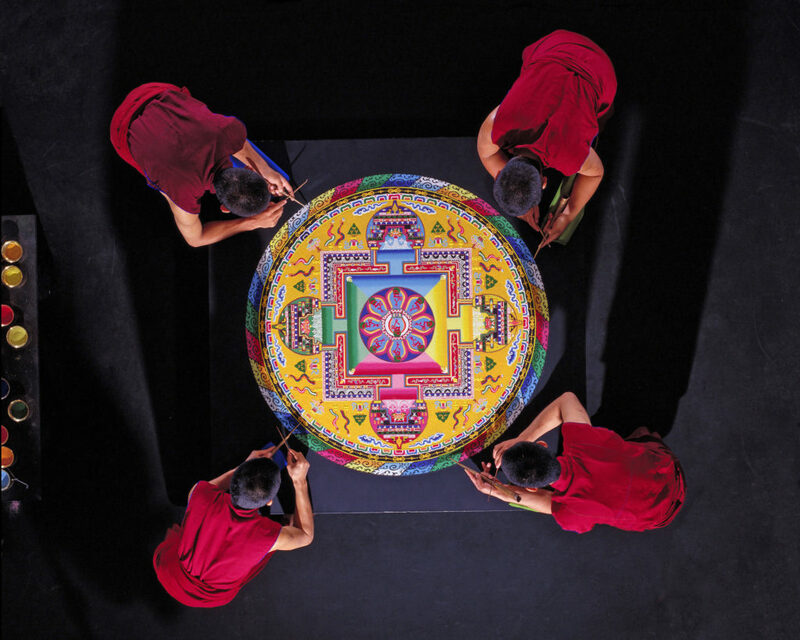 Over three days visitors to the Festival can watch as our resident monks create a stunningly beautiful sand mandala. Millions of grains of brightly coloured sand are placed with great skill and patience using a metal funnel called a chak phur to form intricate geometric designs. Regarded within Tibetan Buddhism as sacred, sand mandalas were rarely seen outside of Tibet’s monasteries until a few decades ago. Exquisitely detailed and highly symbolic, the sand mandala can take many days to complete, with the process culminating in the spiritually charged dissolution ceremony on the final day, Sunday 28 April at 12.30pm. 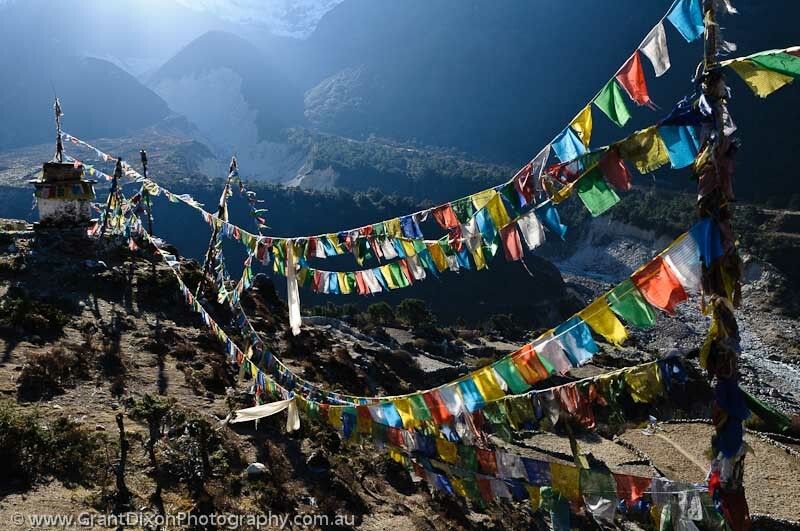 Traditionally, prayer flags are printed using inked, hand-carved woodblocks on cloth dyed in five primary colours. When hung in high places it is said the prayers, mantras and powerful symbols on each flag are carried on the wind to benefit all sentient beings. The painting of tsa-tsas, small iconographic forms of various buddhas cast in clay or plaster, is an ancient form of devotional Buddhist art. Tsa tsas are placed on altars or at holy sites to eliminate obstacles, purify negativities and create positive energy. In this session you can try your hand at painting your own tsa tsa or printing prayer flags with special wishes for peace, compassion, prosperity and happiness. View original contemporary artworks contributed by come of the most prominent and occasionally controversial Tibetan artists from around the world. Inspired by both political commentary and religious practice, this collection offers a fascinating insight into the minds of these artists who, in spite of occasional censorship, skillfully portray the conflicts and synergies that exist between identity, tradition, spirituality and life in the modern world. 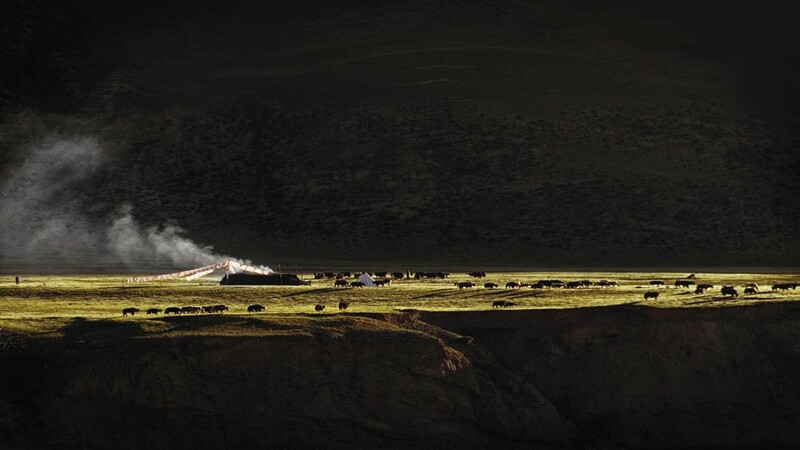 This year, the exhibition will also feature a curated selection of ten photographs taken by Carolyn Christensen (Co-director Perfect Potion) of past Festival of Tibet events. Highly respected Tibetan Buddhist teacher, Khen Rinpoche Geshe Tashi Tsering will discuss the essence of Tibetan culture, deeply rooted in the ideals of compassion and loving kindness. 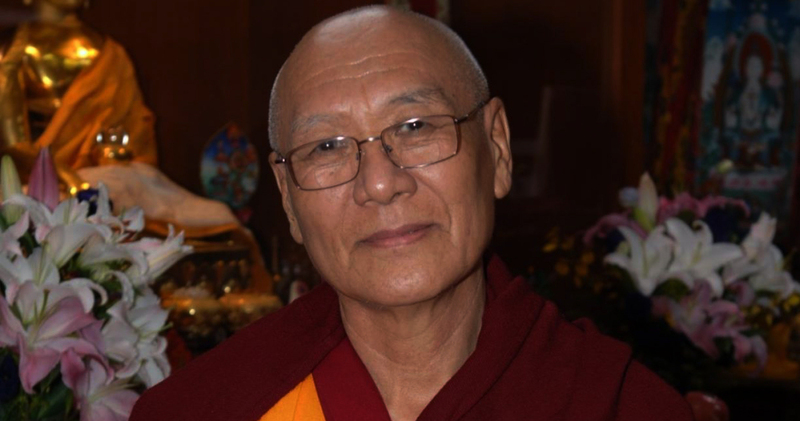 Khen Rinpoche explains how we can develop our own compassionate nature and effectively apply this to everyday life, aligning one’s inner life with outer expression to discover the true path to happiness. Prelude to this heartwarming discussion, Mr. Lhakpa Tshoko Representative of His Holiness the Dalai Lama in Australia, New Zealand and South East Asia will give a talk on the importance of Tibetan language to preserve the heritage of Tibetan Buddhism. Join the Australia Tibet Council (ATC) for the launch of a new report on Tibetan nomads and the grasslands of Tibet. Next year, China plans to establish a system of national parks across the Tibetan Plateau, with about 40 per cent of the whole plateau to be directly controlled from Beijing in the name of wildlife conservation and climate mitigation. Report co-authors ATC Executive Officer Kyinzom Dhongdue and Dr. Gabriel Lafitte will discuss what these new parks will mean for the traditional Tibetan way of life. 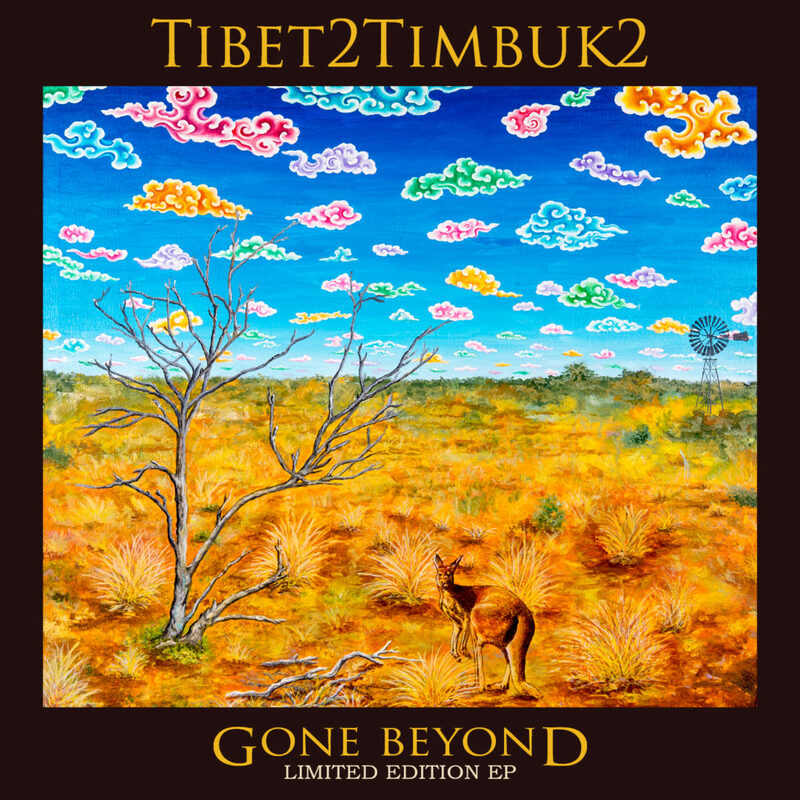 Launch will have Tenzin Nyidon and Lek Bhum sing few Tibetan Nomadic songs.